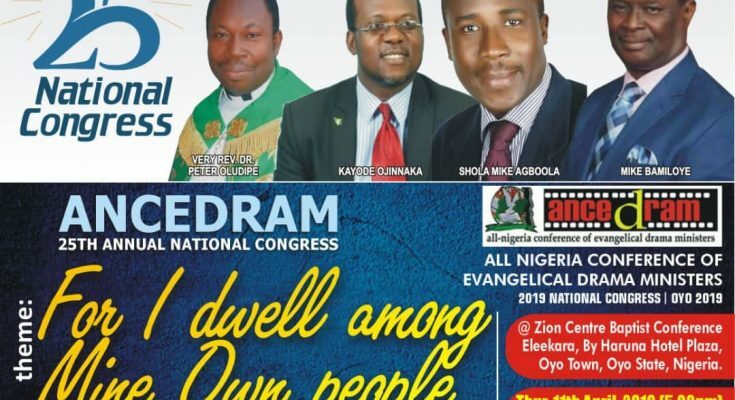 The largest association of gospel film makers, drama ministers in Nigeria, ANCEDRAM begins serious countdown to her national congress. 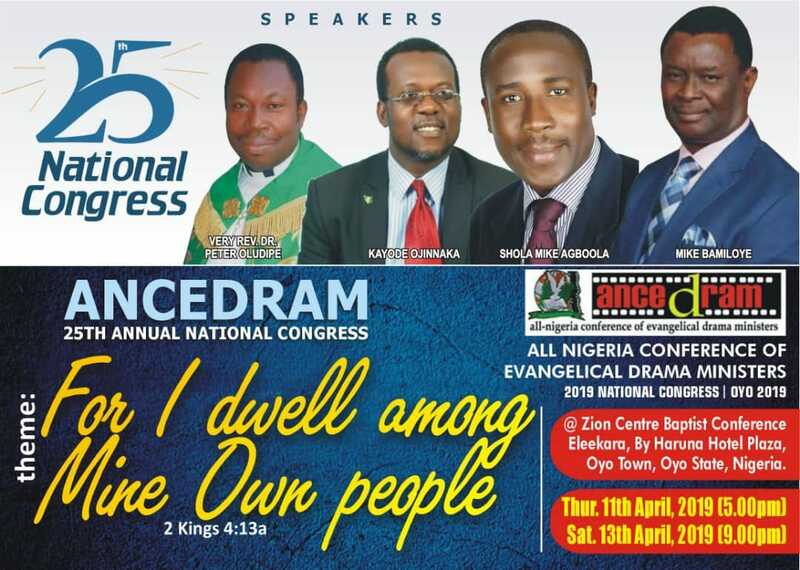 ANCEDRAM which means All Nigeria Conference of Evangelical Drama Ministers will be hosting this year national congress in Oyo state where the association started. 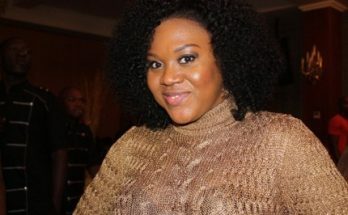 According to reports gathered by Gospel Film News, the congress which is the 25th in the history of the association will start on Thursday, 11th April by 5pm and end on Saturday, 13th April, 2019. 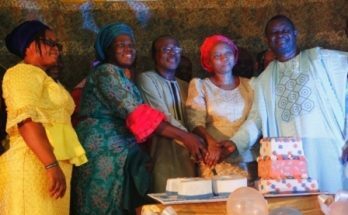 It was also gathered that the doyen of christian drama, Evangelist Mike Bamiloye, president of EVOM Film Productions, Evangelist Shola Mike Agboola, president of ANCEDRAm, Barrister Kayode Ojinnaka, Very Rev. 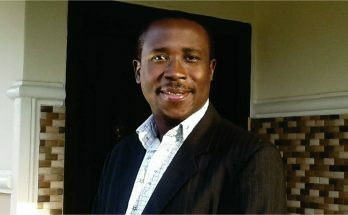 Dr. Peter Oludipe among others will be ministering at the congress. 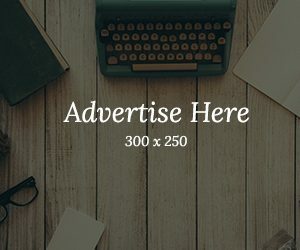 Registration for the congress cost three thousand Naira (3000).